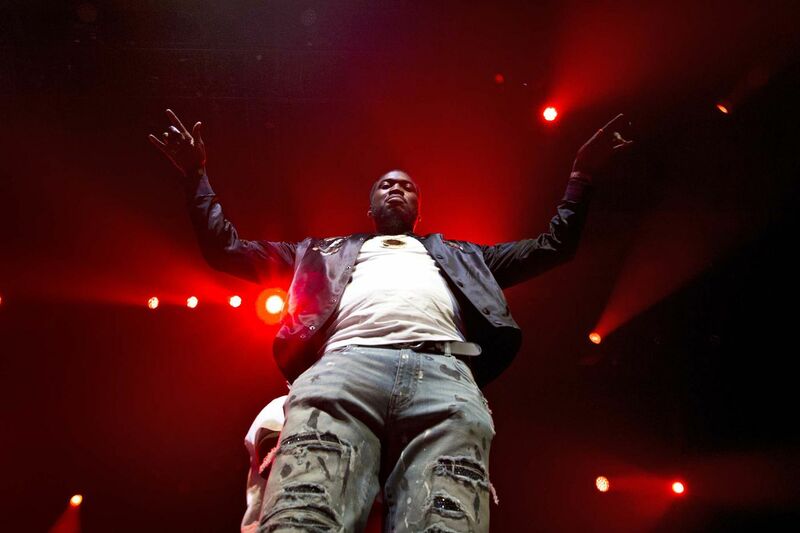 Meek Mill comes the Met Philly for two shows on Friday and Saturday, March 15 and 16. Head to Society Hill’s Starr Garden for hot cocoa, ice-carving, pony rides, crafts, and more winter fun. If the weather is uncooperative, the park ironically plans to reschedule the event for spring. Urban Axes hosts its first-ever tournament and anyone 21 and older is welcome — even if you’ve never thrown an ax before. (You should know that it’s harder than it looks.) If you win, you’ll take home $150. Closed-toe shoes required. At Urban Axes in East Kensington, Brian Langan (center) gives ax-throwing lessons before an evening of fun. Winner of five Tony Awards in 2015, including best play, this creative stage version of the Mark Haddon novel follows a special boy as he turns detective, then scientist. Austin Nedrow in 'The Curious Incident of the Dog in the Night-Time' at the Walnut Street Theatre. Musicians from the ensemble will play chamber music by African American composers. On the program are works of Jonathan Bailey Holland, David Baker, Ulysses Kay, and Jeffrey Mumford. At this Mutter Museum lecture, Penn professor Kathleen Hall Jamieson — whose latest book, Cyberwar: How Russian Hackers and Trolls Helped Elect a President, was prominently featured in a New Yorker politics piece — addresses how science is covered in the news. The proud North Philly rapper, who was sprung from prison in April, has stepped it up for his fourth album, Championships, and as a public face of criminal justice reform, he, Jay Z, and 76ers co-owner Michael Rubin formed a dedicated organization for just that last month. He brings home his Motivation tour for two nights. The local dance company presents a family-friendly, circus-centric show, complete with magicians, a zebra, singers, dancers, acrobats, and a stilt walker.